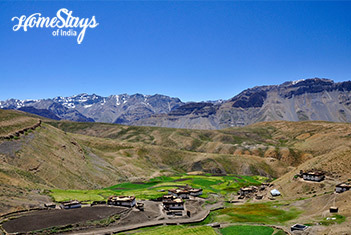 Komik is said to became the highest motorable village in the world, leaving Kibber behind in 2014. 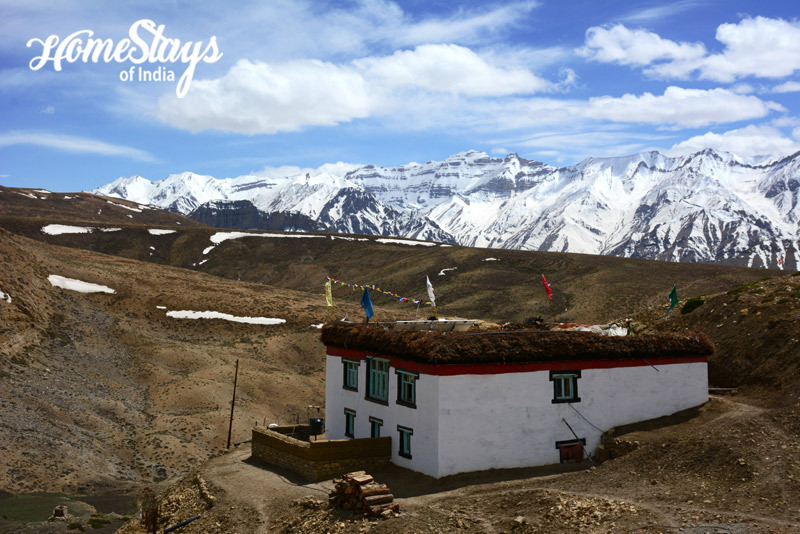 It is situated at a towering altitude of 4587 mtr, set beautifully amid stunning mountains in a bowl shaped valley. 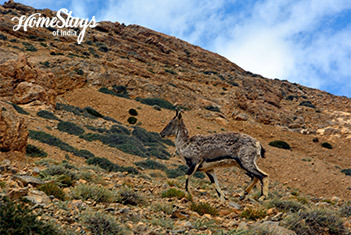 It can be reached easily by a drive of 18 km from Kaza. Its a small village having only 20 houses with a population of 114. 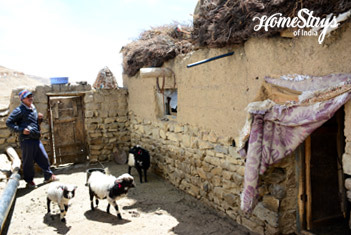 Villagers in Komik are mostly shepherd and earn their livelihood by rearing sheep, yaks and horses. First thing that gets noticed on entering the village is its monastery painted in beautiful bright colors. The monastery’s history goes back 500 years, but its fort-like main building was seemingly constructed after it relocated from near Hikkim village following 1975 earthquake. The monastery has a residential complex for about 50 lamas. A smaller and older building nearby has a stuffed leopard which believed to impart strength to those who touch it, hanging inside the entrance. Women are not permitted in its prayer room. Best time to visit Komik is from mid May to the end of Sep. During winter Komik is always covered in snow with the temperature well below freezing point -25 to -35. 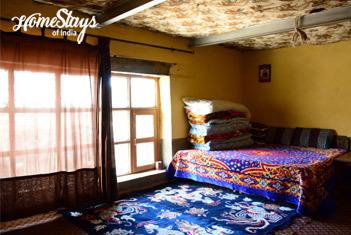 Tanpa, the shepherd built the home in 2010 in a traditional Spitian mud house style. 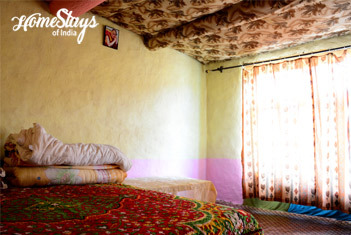 It has very spacious 3 rooms for guests, good for 5 people each. Two tents can also be provided if required. Best thing about this home is, it is functioning in freezing winter also. It will offer a composite toilet and Bukhari (local heater) to keep the home warm. Otherwise it has a common English toilet also. Tanpa is a simple Buddhist farmer and shepherd. He rear sheep and yak. 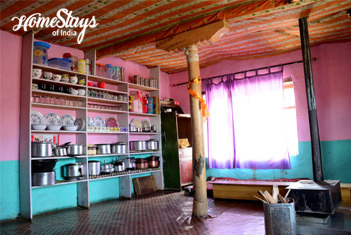 Tanpa serves simple Spitian food like, local bread, Parantha with curd or tea, Skew (local dish made of fried potatoes and Dumpling), Momos and north Indian food like Dal, mix veg. rice and Chapati (Indian Bread). • Trek to the cave (1 km), said to be 1500 yr. old and known for wall paintings.